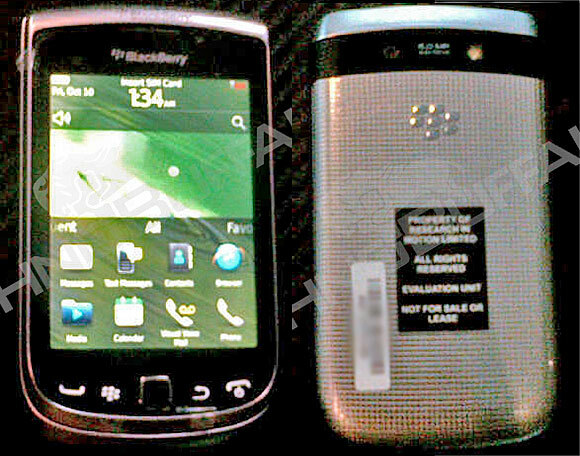 Live photos of the upcoming BlackBerry Torch 2 leaked and it seems that RIM is finally bringing its game up to speed. The device is not only even better looking than its successor, but it also packs some serious punch under its hood. It appears that we are getting a metallic battery cover on the second-gen touch-enabled slider. Knowing how well the original Torch was built, the Torch 2 should be real joy to handle and behold. This new leak also confirmed some of the specs upgrades that the Torch 2 will bring. The 3.2” capacitive touchscreen resolution will be upped to VGA making for an impressive pixel density and the CPU frequency will be nearly doubled at 1.2 GHz. The global GSM/GPRS/EDGE radio support hardly brings any bonus points to a modern day smartphone, but the tri-band 14.4 Mbps HSPA doesn’t sound too bad. Internal storage will be doubled too and BlackBerry Torch 2 users will have 8GB at their disposal, not counting any expansion through the microSD card slot. Next on the list of improvements comes the RAM, which has been upped to 768 MB, compared to 512MB on the original Torch. Wi-Fi, Bluetooth and GPS go without saying, but you’d be glad to know that the BlackBerry Torch 2 will also feature NFC connectivity. Finally we will be seeing some improvement in the camera department as well. Still shots will remain limited to 5 megapixels, but the camcorder gets 720p recording. As you could imagine, there’s no information about possible availability or expected pricing of the BlackBerry Torch 2 just yet. Hopefully we’ll be seeing an official announcement soon, which should shed some light on those. I can't really wait to replace My Torch 9800 smartphone with this new one, it just keeps up to date with the competition from the droids!